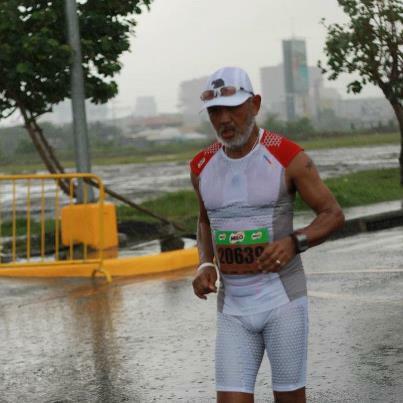 Last year, I ran the MILO Marathon Manila Eliminations but I DNFd at Km 23 because of my injury on my left knee. This year, I did not have plans or intention of joining the MILO Marathon Manila Eliminations as I was out of the country when the media launching activity was held. However, my friend, Jonel, informed me through FB that he was able to register me to run the Half-Marathon distance which I thought to be a nice event for me to see the runners and at the same time to be seen by new runners after I’ve been busy going to the mountains and enjoying the beauty of trail running and hiking to the peak of mountains. It was also a chance to expose one of my elite runners whom I’ve been training/coaching for ultra trail runs in the province. Danin Arenzana had been with me for 3 years and he has been consistently training for mountain runs. 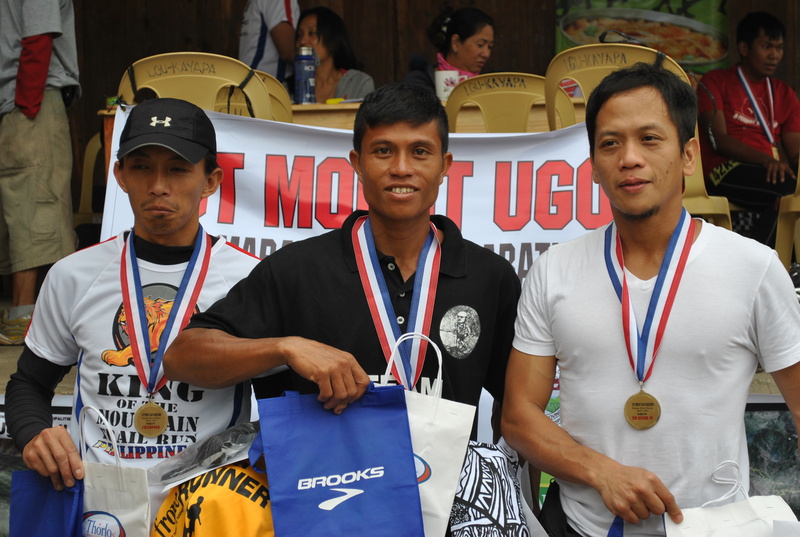 In his debut race at the Mt Ugo Trail Marathon Race (42K) by Jonel of FrontRunner Magazine last April of this year, he placed First Runner-Up, competing with the fast runners of Baguio City. I registered him for the MILO Half-Marathon distance as a test run on flat and paved surface. As I said, I joined this race to be seen by other runners and also try to look for Marcelo and give him whatever I could receive from friends which they committed to be given to him. After giving some advice to Danin and making sure that he is positioned infront of the starters, I positioned myself at the back of the pack and find out how my body would perform without any structured training program as a preparation for this race. 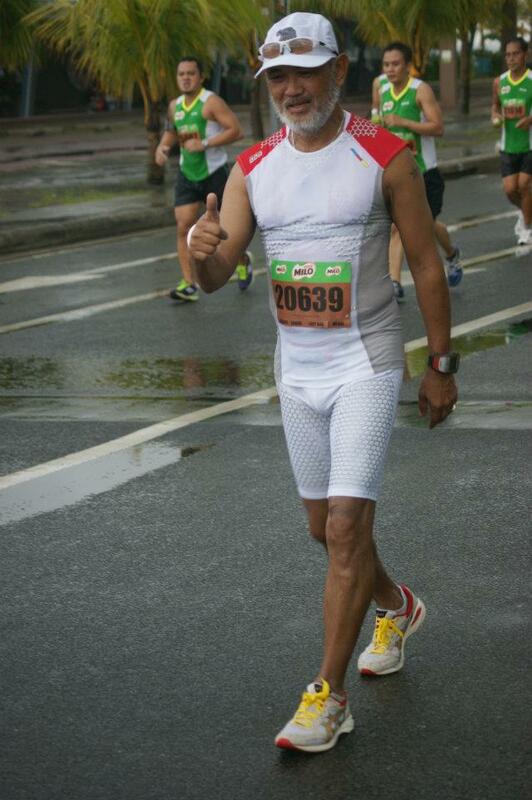 The day before this race, I finished a 10K race in Fort Magsaysay where I finished in 1:02:15 hours. The course was relatively flat but there are hills to overcome which made the course very challenging. (Note: I will make a separate Race Report on this run). While traveling to Manila, I could feel some pain in my knees but with some massage, full sleep/rest and “voodoo” drinks, I was ready for a half-marathon race the following day. On Race Day, I was surprised to find out that it took me almost one minute to cross the starting line from the back of the pack. It showed how many runners had registered and started for this race. I was informed that the number of runners had reached to 38,000+ making it the most attended running event in Metro Manila/in the country so far. This makes the MILO Marathon to be consistently called as the “most prestigious running event in the country”. Well, going back to my performance. I was too slow and I understand that my age is slowly catching up with what is in my mind. My mind would say that I am still fast and strong as if I am 40 years old but my legs and my breathing were saying the reality—that I am already slow and getting older! On the first 10K, I was averaging a pace of 6:15-6:30 minutes per kilometer but on the 2nd half of the race, I began to slow down and had to walk before and after drinking water at the aid stations. My last 5 kilometers were really painful as I would experience some cramps on my calves. I had to walk on the last kilometer of the race. I would finish the race in 2:25+ hours. My slowest finish time so far for a half-marathon distance! There are no alibis or complaints about my performance. I simply did not prepare for this race. At least, I was able to gauge the level of my running fitness with this race. Which means, I lack the endurance and speed to sustain a consistent pace for the distance. Damn those swimming laps which I’ve done as cross-training to lessen the pain on my knees, hoping that I could improve my swimming endurance coming from a zero and a non-swimmer for the past months and weeks. I guess, I am a land animal and not a runner trying to glide like a fish in the water. It’s a blessing in disguise that my road races last weekend (10K & 21K) have started again my focused training in running with the hope of joining more road and trail races in the coming months. Running and hiking to the peak of the mountains will still be a part of the training. My knees are still in pain but some adjustments in my training will have to be done for me to be back in consistent training. Danin, my elite athlete, surprisingly landed #9 overall in the Half-Marathon Race with a time of 1:30+ hours. He performed well and he has the potential to run faster as I advised him to restructure and make some adjustments in his training program. We will see him more in trail running events! It worthy to note also that my Elite Team Bald Runner/Philippine Army runners, Elmer Sabal and Gerald Sabal placed 2nd and 3rd Overall in the Marathon (42K) Elimination Race, respectively. Elmer finished in 2:45+ hours while Gerald finished in 2:46+ hours. I hope these runners will train some more to be able to win in the MILO Marathon FINALS in December. 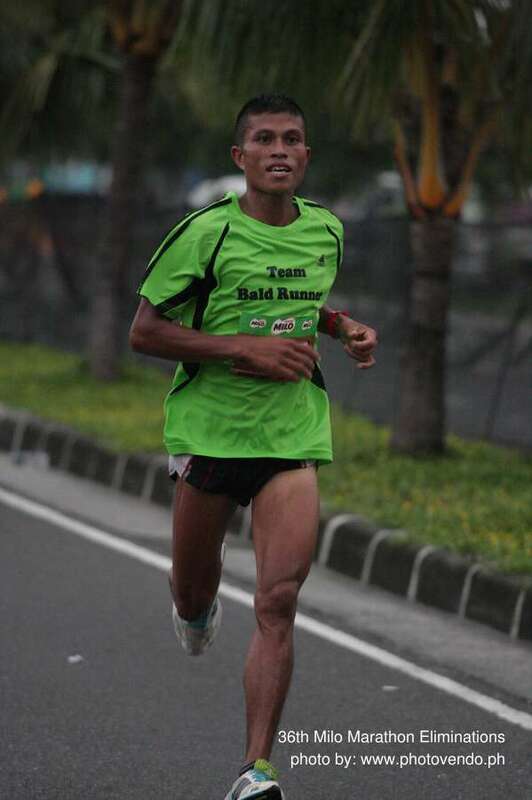 Danin will run again the Half-Marathon Race in the Finals, hoping to improve his time and ranking. Congratulations to MILO Philippines and to Coach Rio De La Cruz (RUNRIO) for the successful conduct of this year’s Manila Elimination Race. You did a splendid job! No doubt, this running event will stay consistently as the “most prestigious running event in the country” in the years to come. Plus the fact that you have provided more running shoes to more students and potential runners around the country through your “Donate A Shoe” Program! See you at the FINALS! By the way, how did Marcelo perform in the recent Milo race? He was not in the top 10 finishers, was he? Would you know his time? Thanks. marcelo finished #18 overall with a finish time of 3:23+ hours and he qualified for the MILO Marathon FINALS in December. Where can i get a ‘Team Baldrunner’ tshirt?